Plain white and Printed with company logo. 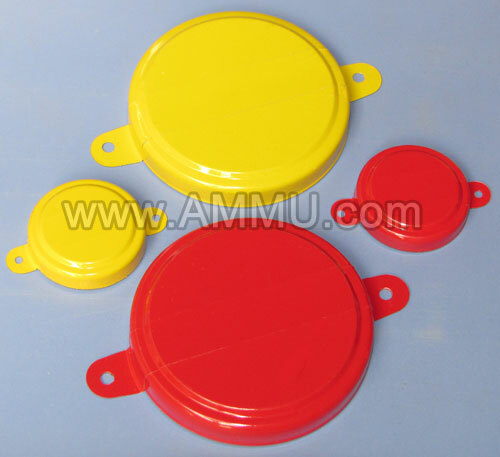 Manufacturer and worldwide exporter of drum cap seal of 2" (70mm) and 3/4" (35mm) size for steel and plastic drums. Our cap seals are made from rust resistant Tin plate prime sheets, have double white coat, inner side polish lacquer with vinyl gasket and optimal scoring for smooth tear off. Plain white, colored background like red, yellow, blue, green or with printed company logo. Vented capseal for releasing pressure when used with vented drum plugs. 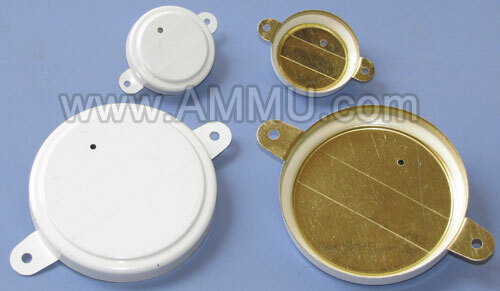 For guaranteed tamperproof sealing, use with AMMU drum cap sealer. 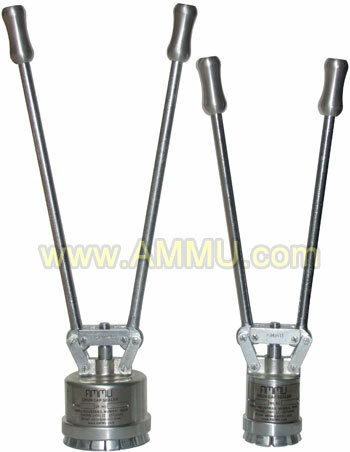 - Made from tinplate & tin-free steel of 0.3 mm thickness for optimum sealing result. 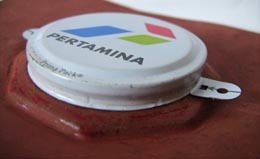 - Top surface is white, colored or with company logo. - Inner edge has a vinyl gasket for better contact with the flange. 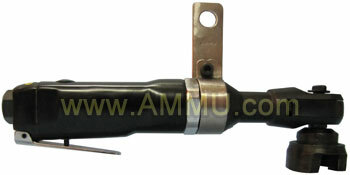 - Ears and scored lines ensure that the capseal has to be destroyed before removal. - Top surface is printed with your company logo as required. 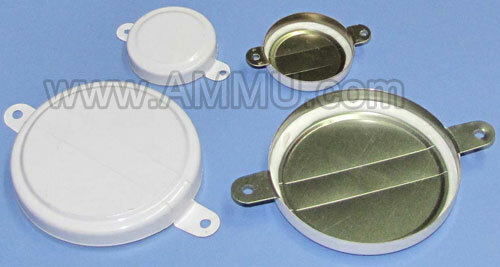 Vented Drum Cap Seal 2" and 3/4"
- Vented to release pressure built up in drums. - Top surface is printed Red, Yellow or any color as required. 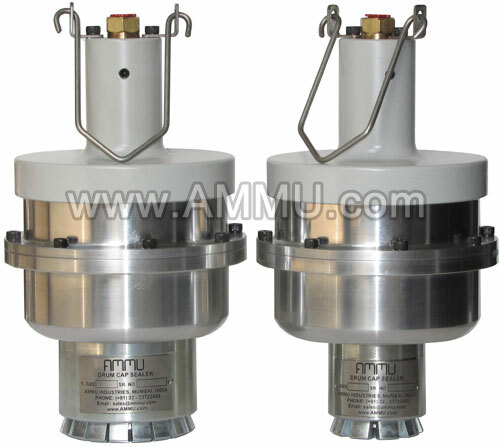 Also called : Vented Drum Caps, vented capseal, capseal vented, Barrel caps, barrel capseal, barrel seals, bung seal, drum caps, drum capseals, fuel drum seal, metal drum cap, steel drum caps, drum seal cap manufacturer supplier, cap seal for oil drum barrel.